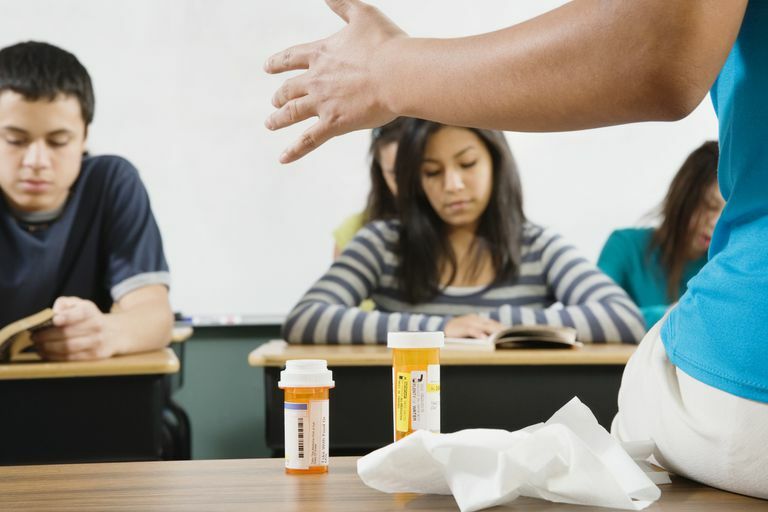 One misconception connected to the increase in prescription drug abuse by teens is that using drugs is safe as long as you only do it "every once in a while." Many teens believe that if they only occasionally use drugs, they can't have an overdose or become addicted. Unfortunately, there is a lot of evidence that even occasional drug use can be dangerous and can lead to a risk of developing other problems during adolescence as well as into adulthood. We frequently see stories in the news in which a teenager experimenting with drugs for the first time dies from an accidental overdose, or a teen drinking alcohol for the first time dies from acute alcohol poisoning. Drugs affect different people in different ways, and some people can experience dangerous side effects or even a fatal reaction the first time they take a drug. Even when you have a prescription for the drug, you can have an adverse reaction. If all prescription drugs were safe, you could just walk into the store and buy them off the shelf. There are reasons that you need to get a prescription from a doctor or healthcare provider before you can take some medications. First, almost all medications have some kind of side-effects. Therefore, a doctor needs to examine you and your medical history to make sure the medication you are being prescribed does not cause additional problems with a preexisting condition. Also, some medications can clash with others, causing severe reactions. Before you can get a new prescription, a doctor needs to determine if the new drug might interfere with or react to another medication you are already taking. If you take a medication that was safely prescribed for someone else, it doesn't mean that it will be safe for you to take. When you abuse prescription drugs, they can be just as dangerous and addictive as street drugs. You can die from abusing prescription drugs or alcohol, even the very first time you try them. Not everyone has a deadly or even negative reaction to taking drugs the first time, but some people do. Do you want to take that chance? Hinson, R. et. al, "Early drinking linked to higher lifetime alcoholism risk," Archives of Pediatrics & Adolescent Medicine, July 2006. What is Paranoia and Can it be Caused by Drugs?